Laura Bonilla, the “sandwich master” and owner of Big City Sandwiches, spent most of her adult life in New York City. Any Foodie knows that the Big Apple is known for its famous deli sandwiches. Corned beef hash? Yes, please! Add a squirt of spicy brown mustard to the huge stack of meat, serve between two pieces of fresh rye bread, and I’d call that bliss. Don’t fret; traveling to the concrete jungle or another big city isn’t necessary. Laura was inspired by New York City’s deli establishments and her extensive business travel throughout the U.S. to create a mobile truck serving gourmet sandwiches. Laura recognized that each region of the U.S. and most big cities have a signature meal or sandwich. Thus, Big City Sandwiches was born and allowed Laura to create her own sandwich recipes using artisan breads, organic deli meats and locally grown produce. Every ingredient on your sandwich is guaranteed to be fresh, organic and sustainably raised. Big City Sandwiches also provides their customers with flavorful meats by roasting their pork, London broil and roast beef in-house with special spices. The delicious meats are topped with seasonal and organic produce supplied by local farmers’ markets. You can’t forget the homemade condiments and sides, guaranteed to add that extra zest to your sandwich. The Miami is guaranteed to transport you to paradise. 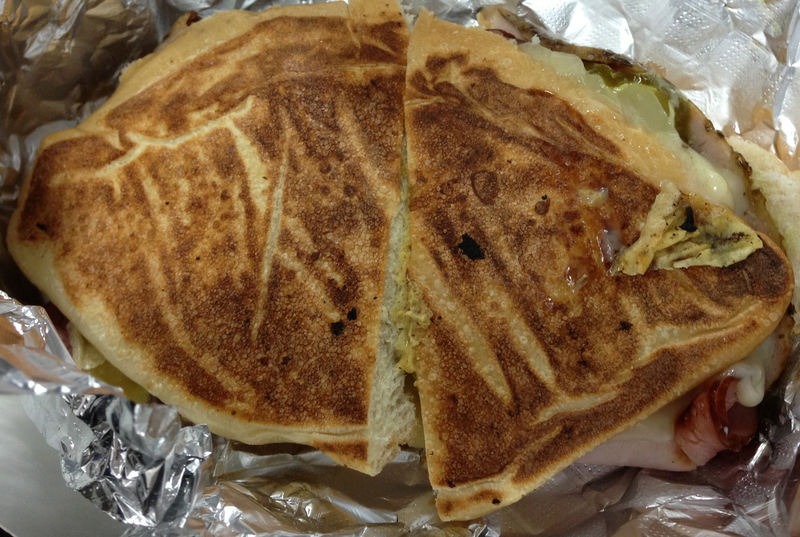 This grilled cubano sandwich is crafted with roasted pork, black forest ham, Swiss cheese, pickles, spicy mustard and a tangy cilantro sauce. The sandwich is grilled to perfection and served on an artisan bolillo roll. The Providence is absolutely amazing. 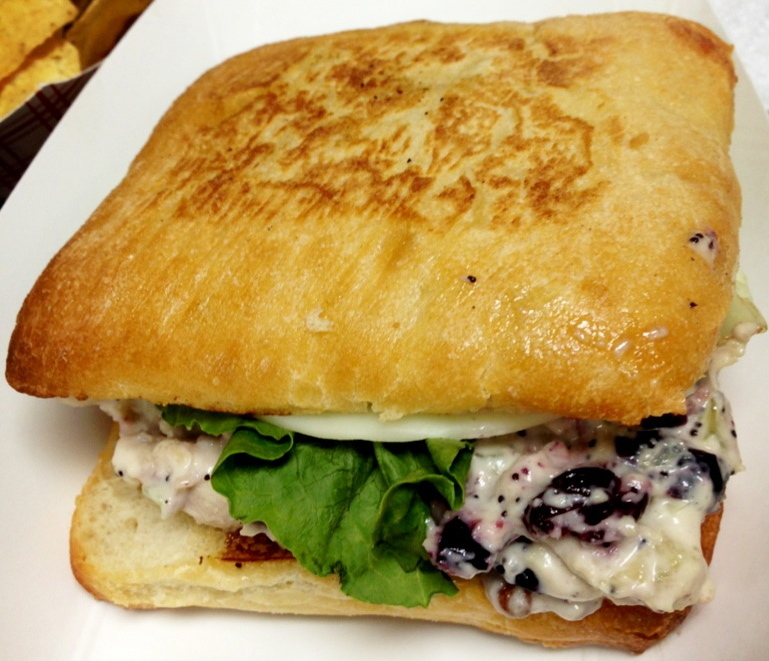 A generous portion of cranberry walnut chicken salad is served on a ciabatta roll and topped with provolone cheese, lettuce, tomato and red onion. The chicken salad is extra chunky and a perfect blend of sweet and savory flavors. Big City Sandwiches also provides delicious vegetarian and vegan options. The Carrboro is a vegetarian three-cheese griller, which includes smoked gouda, provolone and cheddar grilled on artisan Tuscan bread. The Aspen wrap is a great vegan choice with plenty of protein to keep your afternoon hunger pains away! A large flour tortilla wrap is filled with hummus, tofu, sunflower seeds, roasted red peppers, red onion, black olives, cabbage salad and spinach. 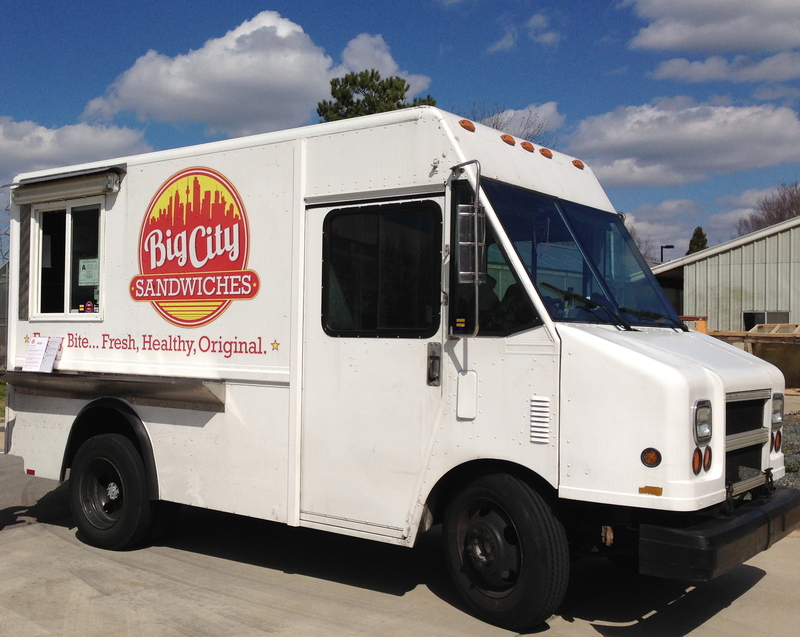 I encourage you to follow Big City Sandwiches on Twitter to see where they will be serving next!